My mom turned 57 this weekend. Have you ever wondered what 57 candles looked like all lit on one small cake? Well, now you know. Thats a hell of a lot of fire! I'm surprised the frosting didn't melt! 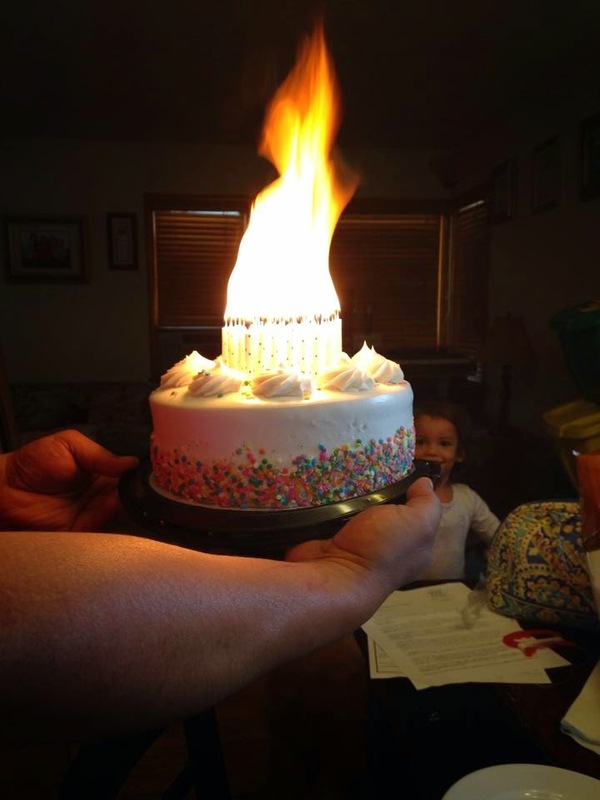 It did stick to the candles A LOT! And the smoke alarms all went off. That is great! Did she get them all out in one blow?